Florida’s Homeowner Property Insurers are becoming very protective of their Managed Repair programs and stand ready to issue denials as a way to strong arm reluctant homeowners. This seems especially true when Insurers use affiliate repairers or have a financial interest in the “Managed Repair Management Company” which finds the contractors who will take cut-rates to do the work. Indeed, Insurers’ insistence on forcing Managed Repair down the homeowners’ throat has risen to a whole new level of absurdity that may bespeak a more nefarious motive. Take John for instance. John had a fire. John wanted to use a contractor he knew and trusted to do the work, so that he did not have to take time off work to oversee the construction. 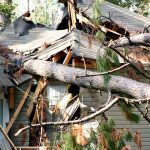 For weeks, John argued with the Insurer and even offered to take the amount the Insurer’s estimate showed would be paid to the Managed Repair contractor. He even offered to let the Insurer pay his contractor directly. Still, the Insurer insisted that John use one of their Managed Repair contractors – Why?Well, it’s possible that the Insurer has assigned its Option to Repair to the “Managed Repair Management Company” and contractually obligated itself to place a certain percentage of claims with those contractors. Ironic – right – given all of whining Insurers’ have been doing about homeowners assigning their claims to contractors. See Homeowners – Hostages in a Hostile Claims Environment. Can Insurers still call it an “Option” to repair then?But, there is another possible explanation for why the Insurer dug-in its heels when John’s request would not have cost it one dime more than paying the Managed Repair contractor. What this humble advocate is seeing that may explain John’s plight is a seedier underbelly of the “hassle-free” alternative Insurers are trying to misleadingly hock. John’s real problem may be – WAIT-FOR-IT – he had the nerve to hire an advocate. Would the Insurer have paid or allowed John to use his own contractor otherwise? 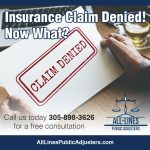 The answer may be yes!Notably, at least one Florida Insurer, routinely offers to pay homeowners unhappy with being forced into Managed Repair the inferior amount it planned to pay the Managed Repair contractor in exchange for a release – of course – coupled with a promise to report the naughty homeowner to ‘underwriting’. While others, seem to suddenly invoke the Option to repair when an advocate arrives on the scene. Yes, it’s happening. Managed Repair is now being used to punish homeowners for getting help with their claim. Certainly that would explain the absurdity of the Insurer’s response to John. This is wrong! Let’s be crystal clear – Managed Repair is not about protecting homeowners. And, Managed Repair is not about fighting fraud. At bottom, Managed Repair, however it began, is now a weapon of war being wielded against homeowners who dare to get help to fight for what is owed under their policies. Talk about public harm. This takes the cake. Homeowners’ rights to insure, protect and repair their own homes must be restored. 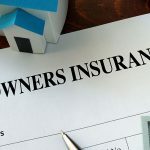 Homeowners must begin to reject Insurers using Managed Repair programs which highjack their claims and usurp their sacred right to be the gatekeepers in their own homes. It is time to take the “Option to Repair” out of Florida property insurance policies.